A note to users with Screen Readers and assistive technology: this home page uses html techniques for sighted users that may not work well for some Screen readers programs. For accessible equivalent content, the best starting point is the about page and it's subpages as well as the news page. From there, continue on to any of the internal pages accessible from the main navigation on this and every page and easily accessible from 508 jump link at top of each page titled navigation. Everything you NEED TO KNOW is here on the JWST Home Page. Begin your exploration here. Q & A with engineers cryo-testing the telescope. 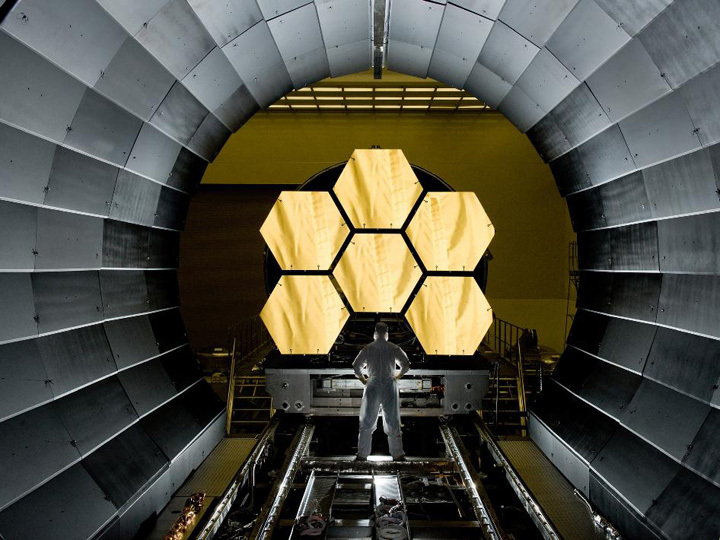 Lee Feinberg: "Ask Me Anything"
The James Webb Space Telescope, also called Webb or JWST, is a large, space-based observatory, optimized for infrared wavelengths, which will complement and extend the discoveries of the Hubble Space Telescope. It launches in 2021. It will cover longer wavelengths of light than Hubble and will have greatly improved sensitivity. The longer wavelengths enable JWST to look further back in time to see the first galaxies that formed in the early universe, and to peer inside dust clouds where stars and planetary systems are forming today. What are the most exciting things we will learn? 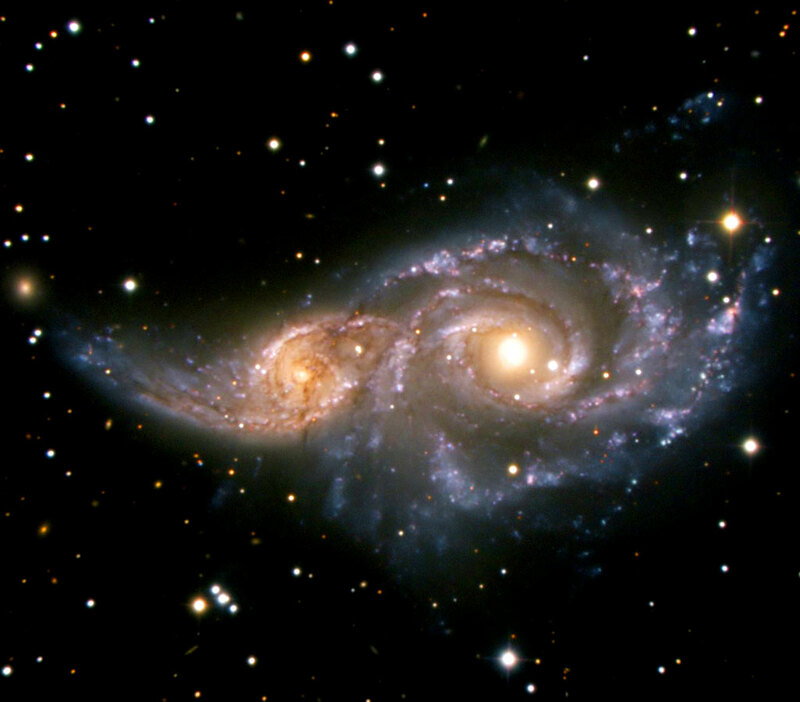 We have yet to observe the era of our universe’s history when galaxies began to form. 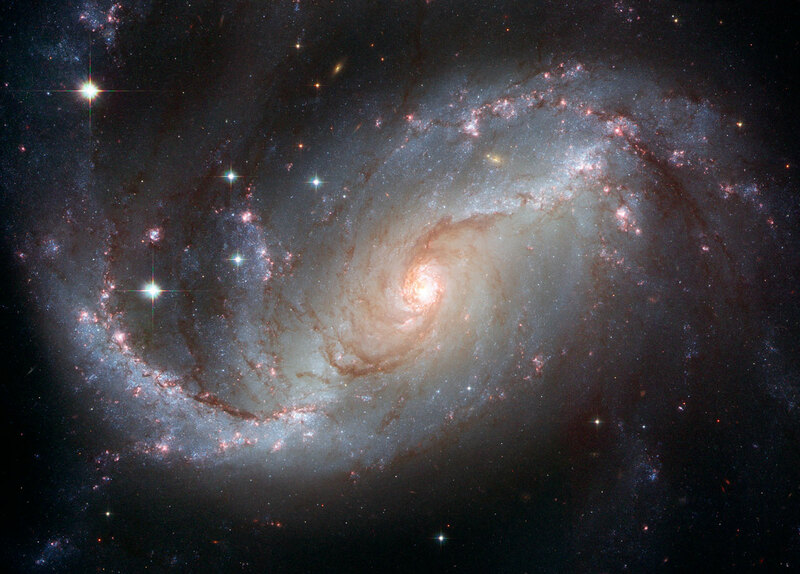 We have a lot to learn about how galaxies got supermassive black holes in their centers, and we don't really know whether the black holes caused the galaxies to form or vice versa. We can't see inside dust clouds with high resolution, where stars and planets are being born nearby, but Webb will be able to do just that. We don't know how many planetary systems might be hospitable to life, but Webb could tell whether some Earth-like planets have enough water to have oceans. We don't know much about dark matter or dark energy, but we are expecting to learn more about where the dark matter is now, and we hope to learn the history of the acceleration of the universe that we attribute to dark energy. And then, there are the surprises we can't imagine! Why is Webb an infrared telescope? By viewing the universe at infrared wavelengths Webb will show us things never before seen by any other telescope. It is only at infrared wavelengths that we can see the first stars and galaxies forming after the Big Bang. And it is with infrared light that we can see stars and planetary systems forming inside clouds of dust that are opaque to visible light. The primary goals of Webb are to study galaxy, star and planet formation in the universe. To see the very first stars and galaxies that formed in the early universe, we have to look deep into space to look back in time (because it takes light time to travel from there to here, the farther out we look, the further we look back in time). The universe is expanding, and therefore the farther we look, the faster objects are moving away from us, redshifting the light. 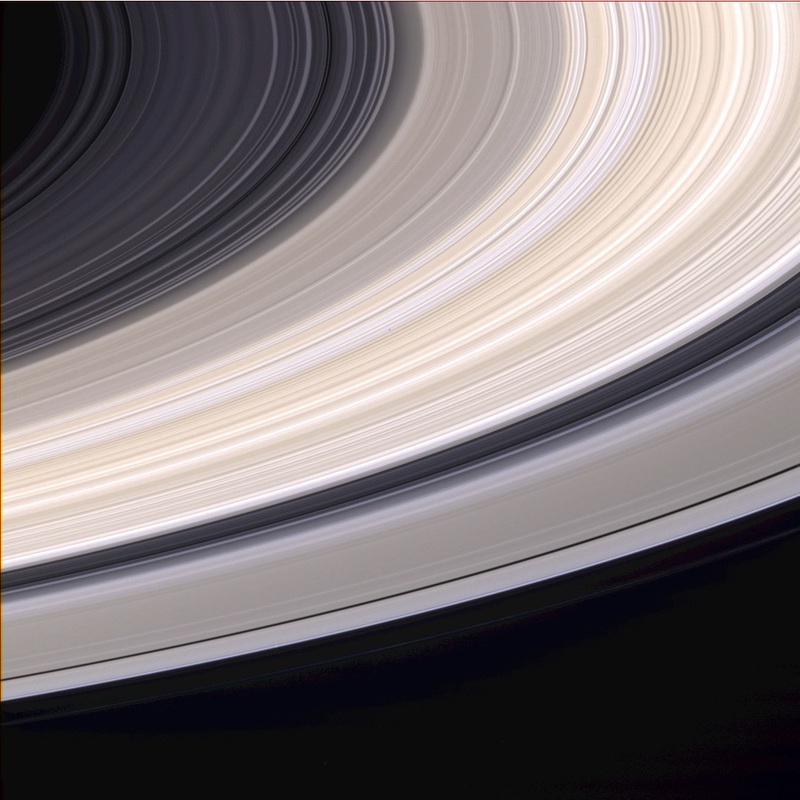 Redshift means that light that is emitted as ultraviolet or visible light is shifted more and more to redder wavelengths, into the near- and mid-infrared part of the electromagnetic spectrum for very high redshifts. Therefore, to study the earliest star and galaxy formation in the universe, we have to observe infrared light and use a telescope and instruments optimized for this light. Star and planet formation in the local universe takes place in the centers of dense, dusty clouds, obscured from our eyes at normal visible wavelengths. Near-infrared light, with its longer wavelength, is less hindered by the small dust particles, allowing near-infrared light to escape from the dust clouds. By observing the emitted near-infrared light we can penetrate the dust and see the processes leading to star and planet formation. Objects of about Earth's temperature emit most of their radiation at mid-infrared wavelengths. These temperatures are also found in dusty regions forming stars and planets, so with mid-infrared radiation we can see the glow of the star and planet formation taking place. An infrared-optimized telescope allows us to penetrate dust clouds to see the birthplaces of stars and planets. Will Webb take amazing pictures like Hubble? Can Webb see visible light? YES! We are going to be looking at things we've never seen before and looking at things we have seen before in all new ways. The beauty and quality of an astronomical image depends on two things: the sharpness and the number of pixels in the camera. On both of these counts, Webb is very similar to, and in many ways better than, Hubble. Although Webb images will be infrared, this can be translated by computer into a visible picture (just like we have done with Spitzer, which has produced beautiful pictures as well). Additionally Webb can see orange and red visible light. 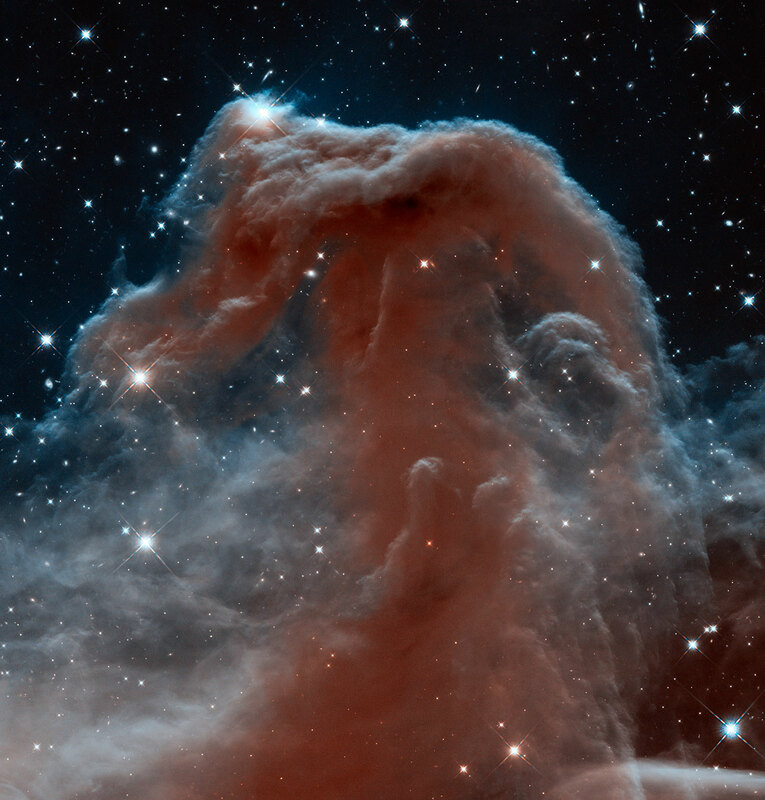 Webb images will be different, but just as beautiful as Hubble's. Read More Also listen to this interview with John Mather about "Making Data Beautiful" on the NASA Blueshift podcast. How does Webb compare with Kepler? The Kepler mission is designed to answer a simple question. What fraction of stars have terrestrial planets located in or near the habitable zone? The habitable zone is the region around a star where water can exist on a planet in liquid form. Kepler seeks to answer this question by staring at a small region of the sky containing more than 100,000 stars for 3.5 years or more to look for transiting terrestrial planets, and thus determine what fraction of stars have terrestrial planets. In answering this question, Kepler is generating a large database of confirmed transiting planets together with some of their basic properties. Once we have found these planets, we need the tools to study their physical properties and the composition of their atmospheres. It is Webb that provides the specialized tools to undertake these studies. Kepler is designed to be a "wide and shallow" survey telescope, while Webb is designed for "narrow and deep" focused studies with near and mid-IR imaging and spectroscopy. How does Webb compare to the Transiting Exoplanet Survey Satellite (TESS)? Webb is a very large observatory designed to address a variety of questions across many areas of astrophysics, while TESS concentrates on identifying a large sample of small planets where follow-up observations are feasible with current and planned telescopes. TESS will identify small planets and measure their sizes. Through follow-up observations, we can determine the masses of some of these planets. With both mass and size measurements, we can determine the planets' densities and start to understand what they are made of. This work will provide a foundation for future missions in the search for potentially habitable planets. TESS will expand on the NASA Kepler mission's census of exoplanets by targeting closer, brighter stars, where follow-up observations are easier to make. The stars TESS studies will on average be 30 to 100 times brighter than the stars earlier Kepler surveyed. How does Webb compare with Herschel? Webb and Herschel are complementary. 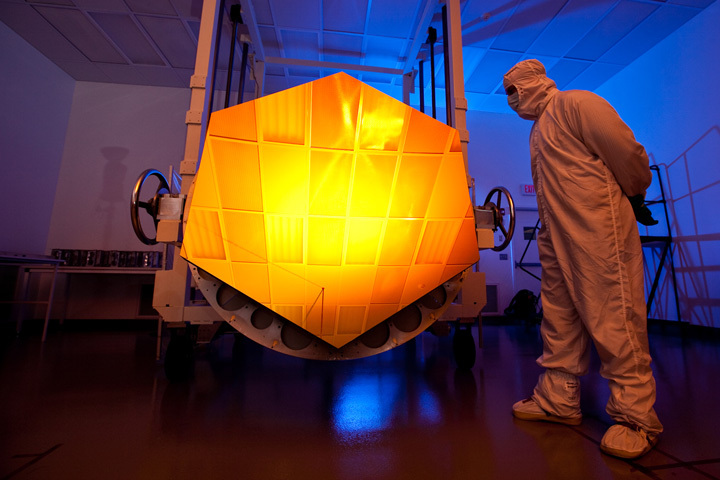 Webb will be a 6.5m telescope sensitive from gold-colored visible light to the mid-infrared, at wavelengths ranging from 0.6 micrometers to 28.5 micrometers. Herschel was a 3.5m telescope sensitive in the far-infrared from 55 to 670 micrometers wavelength. By working at longer wavelengths, Herschel saw colder objects, such as the earliest stages of star formation in dark clouds and emission from molecules such as water. Webb will view more energetic phenomena including forming proto-stars and very distant galaxies. Getting data with both telescopes on the same objects will build a more complete picture of the astrophysical processes. How does Webb compare with Hubble? Webb is designed to look deeper into space to see the earliest stars and galaxies that formed in the universe and to look deep into nearby dust clouds to study the formation of stars and planets. In order to do this, Webb will have a much larger primary mirror than Hubble (2.5 times larger in diameter, or about 6 times larger in area), giving it more light-gathering power. It also will have infrared instruments with longer wavelength coverage and greatly improved sensitivity than Hubble. Finally, Webb will operate much farther from Earth, maintaining its extremely cold operating temperature, stable pointing and higher observing efficiency than with the Earth-orbiting Hubble. What will Webb tell us about exoplanets? Will it take photos of exoplanets? Webb will be able to tell us the composition of the atmospheres of exoplanets. It will observe planetary atmospheres through the transit technique. A transit is when a planet moves across the disc of its parent star. Webb will also carry coronographs to enable photography of exoplanets near bright stars (if they are big and bright and far from the star), but they will be only "dots," not grand panoramas. Consider how far away exoplanets are from us, and how small they are by comparison to this distance! We didn’t even know what Pluto really looked like until we were able to send an observatory to fly right near it, and Pluto is in our own solar system! Will we image objects in our own solar system? Yes! Webb will be able to observe the planets at or beyond the orbit of Mars, satellites, comets, asteroids, and Kuiper belt objects. Many important molecules, ices, and minerals have strong characteristic signatures at the wavelengths Webb can observe. Webb will also monitor the weather of planets and their moons. Because the telescope and instruments have to be kept cold, Webb’s protective sunshield will be blocking the inner solar system from view. This means that the Sun, Earth, Moon, Mercury, and Venus, and of course sun-grazing comets and many known near-Earth objects cannot be observed. How far back will Webb see? Webb will be able to see what the universe looked like around a quarter of a billion years (possibly back to 100 million years) after the Big Bang, when the first stars and galaxies started to form. When will Webb launch and how long is the mission duration? Webb will launch in 2021 from French Guiana on a European Space Agency Ariane 5 rocket. Webb's mission lifetime after launch is designed to be at least 5-1/2 years, and could last longer than 10 years. The lifetime is limited by the amount of fuel used for maintaining the orbit, and by the possibility that Webb’s components will degrade over time in the harsh environment of space. What happens after launch, how long until there will be data? In the third month: From 60 to 90 days after launch we will align the primary mirror segments so that they can work together as a single optical surface. We will also turn on and operate the MIRI. By the end of the third month we will be able to take the first science-quality images. Also by this time, Webb will complete its journey to its L2 orbit position. Webb will be operated at the second Sun-Earth Lagrange point (L2), located approximately 1 million miles (1.5 million km) away from the Earth, and will therefore be beyond the reach of any manned vehicle currently being planned for the next decade. Hubble is in low-Earth orbit, located approximately 375 miles (600 km) away from the Earth, and is therefore readily accessible for servicing. In the early days of the Webb project, studies were conducted to evaluate the benefits, practicality and cost of servicing Webb either by human space flight, by robotic missions, or by some combination such as retrieval to low-Earth orbit. Those studies concluded that the potential benefits of servicing do not offset the increases in mission complexity, mass and cost that would be required to make Webb serviceable, or to conduct the servicing mission itself. Hubble is an exception and not the rule. No other satellites but Hubble are serviceable currently. Is there a danger from micrometeorites? 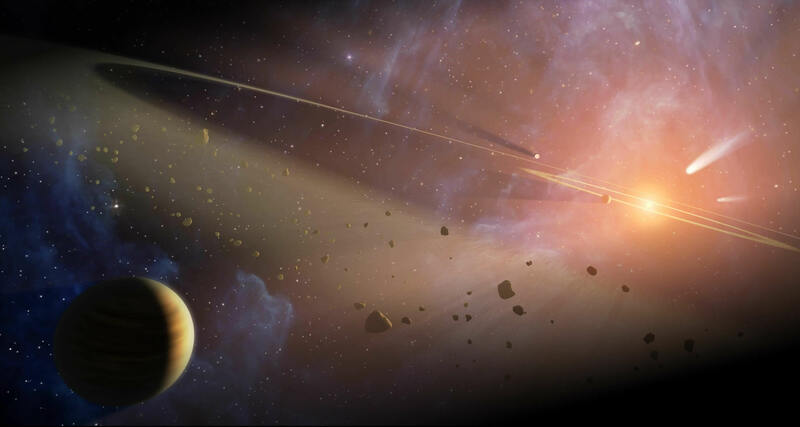 All of Webb's systems are designed to survive micrometeoroid impacts. We tested beryllium discs for micrometeoroids using test facilities in the US and showed the micrometeoroids have negligible effects on the beryllium. Cryogenic beryllium mirrors have been flown in space exposed to micrometeoroids without problems. The Spitzer Space Telescope, launched in 2003, has a beryllium primary mirror. Why is the mirror segmented? Webb needs to have an unfolding mirror because the mirror is so large that it otherwise cannot fit in the launch shroud of currently available rockets. The mirror has to be large in order to see the faint light from the first star-forming regions and to see very small details at infrared wavelengths. Designing, building and operating a mirror that unfolds is one of the major technological developments of Webb. Unfolding mirrors will be necessary for future missions requiring even larger mirrors, and will find application in other scientific, civil and military space missions. Why are the mirrors hexagonal? The hexagonal shape allows a segmented mirror to be constructed without gaps that can be roughly circular in shape and needs only 3 variations in prescription. The hexagonal shape allows a segmented mirror with "high filling factor and six-fold symmetry". High filling factor means the segments fit together without gaps. If we had circular segments, there would be gaps between them. Symmetry is good because we only need 3 different optical prescriptions for all 18 segments, (6 of each prescription). Finally, we want a roughly circular overall mirror shape because that focuses the light into the most compact region on the detectors. An oval mirror, for example, would give images that are elongated in one direction. A square mirror would send a lot of the light out of the central region. Why does the sunshield have 5 layers? Webb has a giant, tennis-court sized sunshield, made of five, very thin layers of an insulating film called Kapton. Why five? One big thick sunshield would conduct the heat from the bottom to the top more than would a shield with five layers separated by vacuum. With five layers to the sunshield, each successive one is cooler than the one below. The heat radiates out from between the layers, and the vacuum between the layers is a very good insulator. From studies done early in the mission development five layers were found to provide sufficient cooling. More layers would provide additional cooling, but would also mean more mass and complexity. We settled on five because it gives us enough cooling with some “margin” or a safety factor, and six or more wouldn’t return any additional benefits. What kind of telescope is Webb? Webb is a reflecting telescope that uses 3 curved mirrors. (It's a 3 mirror anastigmat). There is a technical description of this kind of telescope on Wikipedia. Why not assemble it in orbit? Various scenarios were studied and assembling on-orbit was determined to be unfeasible. In the very earliest stages of feasibility studies, we examined the possibility of on-orbit assembly for what was then called the next generation space telescope or NGST. At that time, and still today, the International Space Station does not have the capability to assemble precision optical structures. Additionally, the environment around the Space Station is not suitable for the exposed mirrors that Webb has and would have had the possibility to damage or contaminate the optics. The deployment of Webb happens far above Low Earth Orbit and the debris that resides there. Finally, if the Space Station were used as a stopping point for the observatory we would have needed a second rocket to launch it to its final destination at L2. The observatory would have to be designed with much more mass to withstand this “second launch” leaving less mass for the mirrors and science instruments. This space-based observatory is named after James E. Webb (1906- 1992), NASA's second administrator. Webb is best known for leading Apollo, a series of lunar exploration programs that landed the first humans on the Moon. However, he also initiated a vigorous space science program that was responsible for more than 75 launches during his tenure, including America's first interplanetary explorers. Read more about James E. Webb. Twenty two artists were selected nationwide to participate in the James Webb Space Telescope Artist Event. They worked directly in front of the Webb telescope. An online gallery shows their impressions of the Webb Telescope and it's mission. Additionally, the public has been invited to submit James Webb Space Telescope inspired art. An online gallery of public submissions can be viewed here. Click images for larger version (in new tab/window). Swipe or use arrow buttons to advance.